New Directions for Youth provides a range of diverse services and programs to meet the complex needs of at-risk youth and their families. 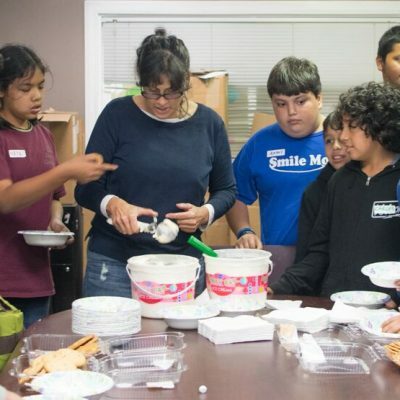 Services include individual, group and family counseling, job skills training, after-school activities and placement, tutoring and literacy programs, anti-graffiti and environmental programs, health referrals, programmatic alternatives to gang involvement, recreational programs, parenting classes, and computer courses. Programs range from traditional service provision to innovative, experimental, pilot programs. 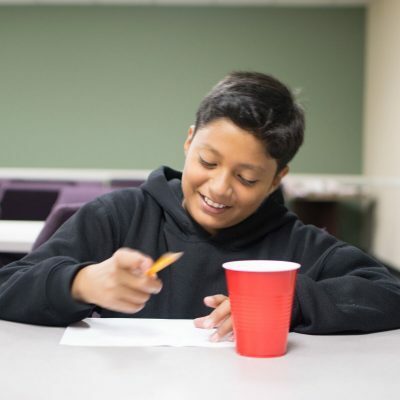 New Directions for Youth provides assessment, counseling and referral services, both on-site and off-site, working in partnership with over 12 Los Angeles Unified School District schools. In addition to school-based counseling, New Directions for Youth employs a staff of professional and para-professional counselors who lead individual, group, and family counseling sessions. Parenting classes are provided to individuals who are referred by the courts, who are self-referred, and to parents of any youth enrolled in our programs. Classes cover communication, conflict resolution, and building supporting relationships. Special workshops for issues such as sexually transmitted disease and pregnancy prevention, conflict resolution, substance abuse, domestic violence and gang intervention are available. Alternative Services for Youth prepares youth ages 14-18 in foster care and transition age youth 18-22 to meet the challenges of emancipation and become responsible, productive, and healthy adults by assisting them through the transition from childhood to adulthood. The goals of the program are to encourage the youth’s growth and development, improve school attendance and performance, advocate for an appropriate educational program, help establish educational and career goals, raise the level of self-esteem, create positive values and empower youth both in foster care and transition age youth, to decrease inappropriate behavior. NDY’s plan to meet the challenges of emancipation is through programs that assist youth to obtain job skills, develop support networks and enter college. The goal of the program is to help individuals, who did not complete their high school education, earn a credential that is recognized and accepted as a high school diploma equivalent by practically all educational institutions and employers. Through the G.E.D. Preparation Pilot Program, individuals receive one-on-one and small group the math, language, social studies and science tutoring to prepare them for GED tests. After completion of the program, NDY pays the registration charge for participants. NDY’s provides gang prevention and intervention programs that help to reduce violence within low-income communities. NDY provides prevention programs that include specialized services specifically designed for a targeted group of youth who have displayed several risk factors for gang membership and/or street violence. The youth who are most at risk will receive the support of a specialized team that is composed of a strategy team leader, family facilitator, and family advocate. Every month, the team meets with the family and youth. After six months, youth are reassessed to determine progress. NDY also partners with the Mayor’s Office of Gang Reduction, Youth Development (GRYD) and the Los Angeles County Probation Department (LACPD), WorkSource Centers, and other education, community, and faith-based organizations to ensure that youth, who are recently released, have the necessary resources and support to successfully transition back to the community. 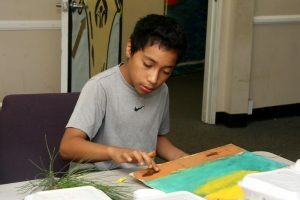 The After-School Program is designed to address the individual needs and interests of youth ages 9-17.NDY offers tutoring and homework assistance, mentorship, life skills training, arts, crafts, computer classes, family activities and educational field trips. Additionally, guest speakers will discuss various topics such as health concerns, career planning, and prevention education. This is a unique opportunity for youth to learn and grow in a positive and supportive environment. NDY conducts an afterschool program specifically targeted to high risk youth designed to prevent gang involvement. 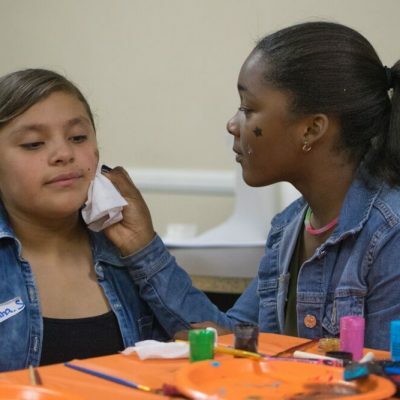 NDY provides counseling, conflict resolution, tutoring and recreation. For youth who do not attend our participating middle schools, NDY provides free transportation from their school to our main location and back to their home. NDY is one of the only non-profit youth agencies that provide summer and overnight camps for at-risk and high-risk youth, free of charge. 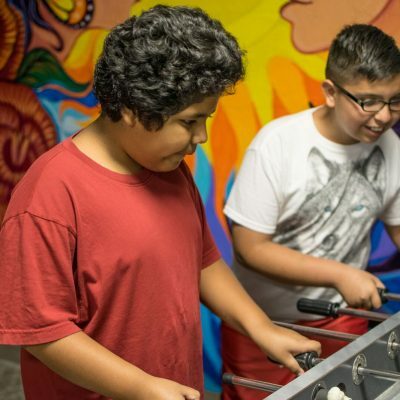 The 10-week Summer Day Camp program provides a traditional summer camp experience to include recreation, enrichment, sports, arts and field trips, combined with critically needed skills development training in conflict resolution, anger management, mentoring and life skills. The Summer Day Camp operates out of theNDYfacilityfrom9am – 6pm all summer long for youth ages 10-17 years old. Overnight camping experiences for youth and families are offered annually. These trips aim to increase positive family functioning and provide organic communication opportunities that promote positive interaction and communication between family members. 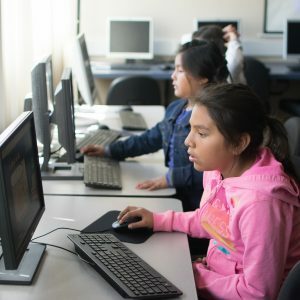 NDY’s Technology Center provides bilingual training to youth and their parents on internet safety, software and hardware troubleshooting, Microsoft Office (Word, Excel and Power Point), basic programming and 3D modeling. 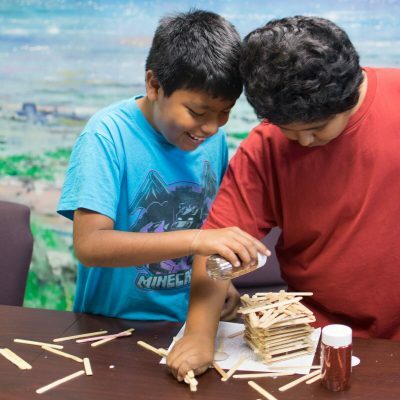 The Technology Center also supports our After-School Program with homework support and academic enrichment. This program is making strides in bridging the digital divide and teaching the technology skills that support the academic and professional success of members of our community. The Career Development and Youth Employment Program provides individuals the skills, training, and support to succeed as young professionals. Staff and volunteers meet with individuals to assess their interest, provide softs kills training and college tours, and hold career education workshops that focus on the job application, resume, interview process, and developing employment plans. During the summer, the Youth Employment Program provides job training and employment opportunities for youth in the community. The goal of the program is to provide a first time job experience that will give them an opportunity to build their resume and give them the necessary soft skills to succeed in their future career. NDY works with community partners to help find the legal services that our families need. Services include legal assistance to families with protection from domestic or other forms of violence, restraining orders, immigration services, child support orders, custody and visitation orders, immigration services, eviction services, and kinship-relate legal assistance. New Directions for Youth is also committed to creating a welcoming community for youth and their families. 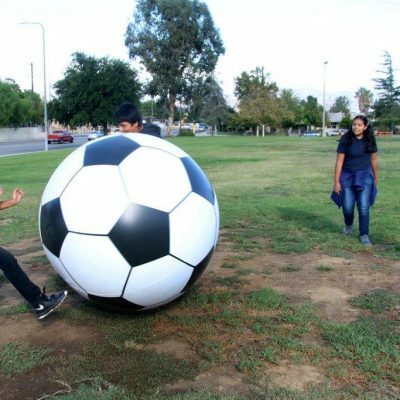 The Community Beautification Program, the first such program in the San Fernando Valley, was founded in 1984 and is funded by Board of Public Works Office of Community Beautification. This is one of the largest and most productive graffiti eradication programs in the area. Utilizing our staff and court-referred workers to remove over 120,000 square feet of graffiti each month, it operates 7 days a week. In addition to graffiti removal, NDY partners with neighborhood councils, business improvement districts, and community partners to have clean streets throughout the San Fernando Valley. “As a contemporary art form, masks embody moments in time for their creators, blending past experiences, current events, and dreams for the future” – Judy Leventhal, LCSW Terra Magazine Natural History Museum of Los Angeles County. Ivan Infanson had hoped to graduate from Van Nuys High School when he aged out with too few credits for a diploma. He found New Directions for Youth, a nonprofit agency that helps at-risk teens, hit the books through a tutoring program and got his GED. Now he’s enrolled through a $15,000 grant at the Arts Institute in Santa Monica, where he hopes to become a music producer. “It gave me new direction,” said Infanson, 22, of Van Nuys. 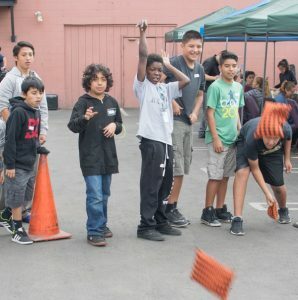 “Without it, I’d still be stuck at home, looking for a job, with no future.” He was among hundreds of once at-risk youths and their families who turned out Saturday for and NDY Family Fun Fall Festival in Panorama City, where New Directions celebrated four decades of helping troubled teens. The 40th anniversary celebration at Sepulveda Park was marked by Aztek and folklorico dancing, live music, arts and crafts, karaoke and Hula Hoop contests, bacon-wrapped hot dogs and more. “This is a very, very, very blessed morning,” said Jorge Boche of Danza Mexica Cuauhtemoc, an Aztec dance group based at Sepulveda Park, which launched the day with a drum and dance blessing. 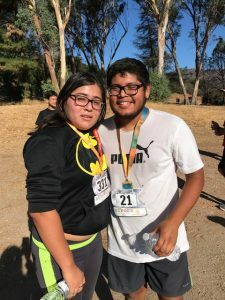 “Thank you for putting New Directions for Youth in this community, for elevation of the mind and many, many, many things.” For many, it was a look-back on how more than 200,000 come-from-behind kids across the San Fernando Valley have made good. “We’re so excited,” said Monica Austin-Jackson, executive director of the nonprofit based in North Hollywood. “The old direction was that young people didn’t have many choices; for many, it was a life of crime or poverty. “We’re the third choice – the new direction. 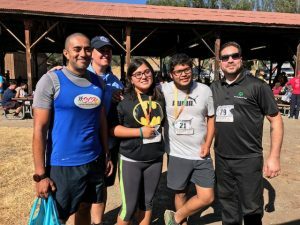 We save the lives of our children.” Launched in 1975 by such civic leaders as Bud Brown, Ken Worthen, Bruce Miller, Walter Kornbluh and the late Anne Finn, New Directions for Youth has offered a turning point for generations of teens and young adults. The $2 million agency, funded by city and county grants and private donations, now helps 3,000 families and at-risk kids each year get out of gangs, get off drugs, and cope with early pregnancy and sexual abuse. 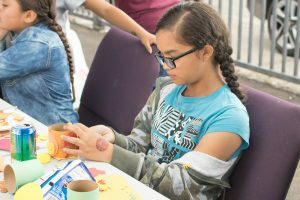 It also offers gang prevention, counseling, tutoring, GED preparation, parenting classes, legal advice, after school programs from arts to recreation to computer classes, jobs and day camp each summer. New Directions is also well-known for its graffiti removal. It employs five full-time crews, seven days a week, to paint over a million square feet of tagging each year. Next year, the agency once located in Van Nuys aims to break ground on new centers for health and recreation, fitness and music and dance at its community center in North Hollywood. It will soon launch basketball, soccer and breakdance matches to help quell gang violence.